A lost turtle ended up crashing through Florida woman Nicole Bjanes' windshield while she was driving. Bjanes says a car in front of her hit the reptile, throwing it airborne and causing it to smash through her windshield. 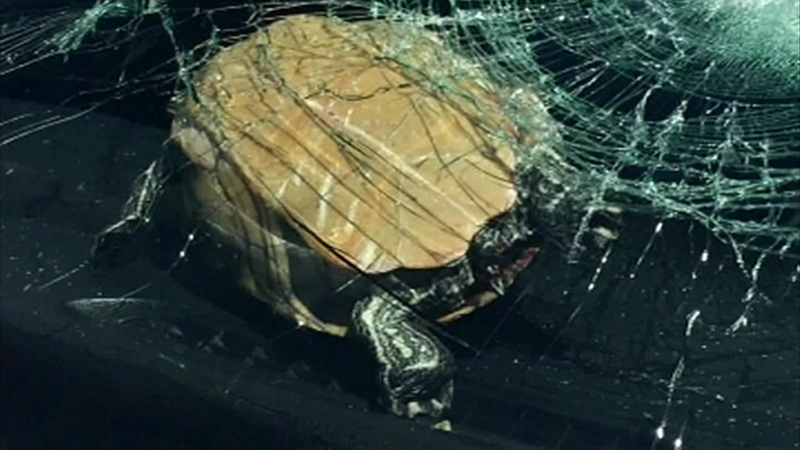 Even more amazingly, neither Bjanes or the turtle were hurt.